Various international architects who were addressing new forms of dwelling and settlement in the 1950s and 1960s were chosen for PREVI competition. Atelier 5 caused an international sensation with the Siedlung Halen settlement. Why was this topic a cause for such an international concern at the time? In the late post-war period, the construction of housing projects was an imperative. The ruins had to be rebuilt as well and as economically but most of all as fast as possible. Switzerland was not directly affected by the war, but it was nonetheless involved, psychologically at least. This was joined by a discussion about demographic pressure or even explosion after the war. A huge population growth was predicted. We were internationally known for our settlement in Halen, which certainly was unique. 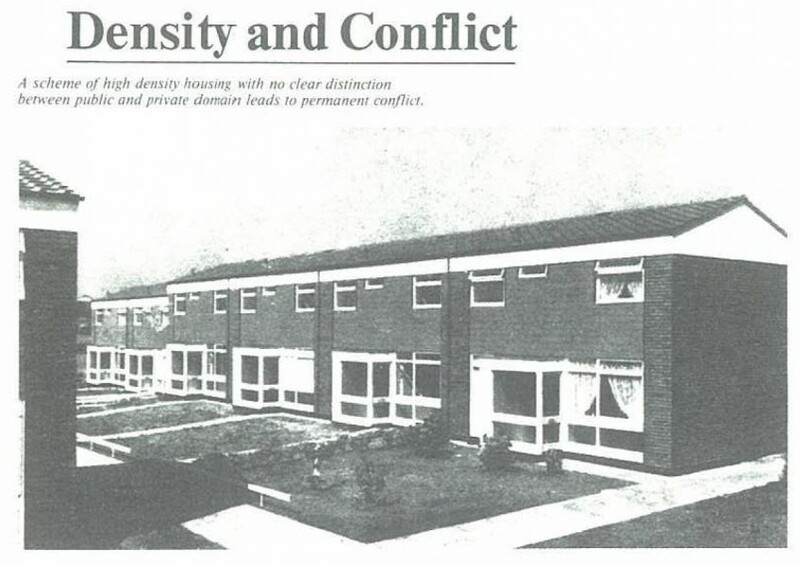 Obviously, we were not the only ones thinking about the subject; the period between the advent of modernism and the war saw a wide variety of communal housing projects. Halen, though, was somehow seen as a rarity, something unique, so it attracted a lot of attention. It was always evident that it was an invention—Le Corbusier was our model. We were very much inspired by his settlement projects, even though they had not been built at the time. But we built. Ours was not a copy, it was a reference to his conception of how to solve a problem. We were invited to enter the competition because of Halen, which was by far the most important project we’d done at the time. From an architectural and historical point of view, it is still a landmark for us. We were incredibly proud and pleased, as we were very young back then. What could be better than taking part in the architectural Olympics? That’s what it meant to us. Was Atelier 5 able to build on the principles of Halen for the PREVI project? No, that was not possible. The competition programme and its aims were so precisely, straightforwardly couched that we immediately shared it. We were fascinated by the difficulty of the project. We became enthusiasts, because this was precisely what the task required: precise aims, precise programmes. Architects are actually glad to have a client who voices clear demands—demands they can interpret and try to address. 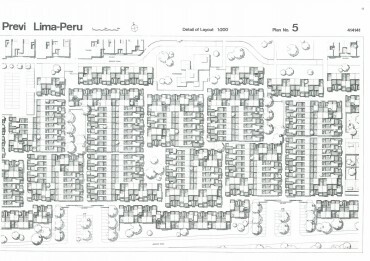 Atelier 5 founded a planning division at about the time of the project in Lima. 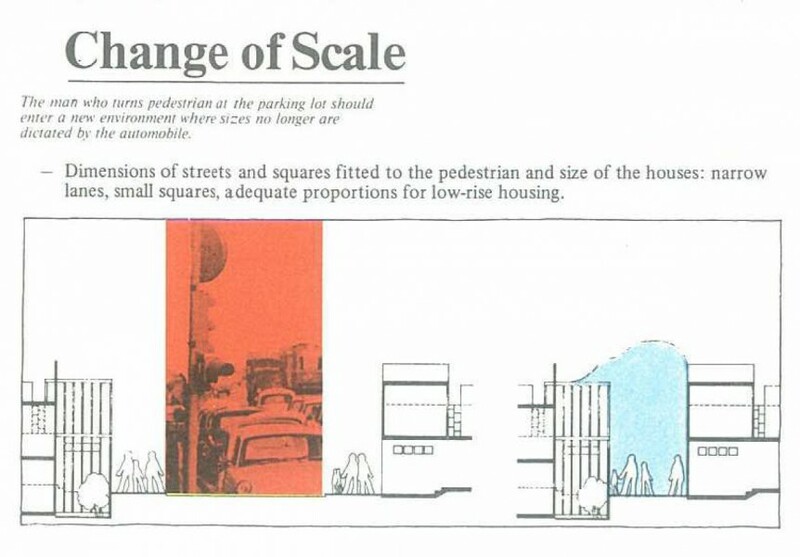 Was this decision related to knowledge of planning at the time? In this first phase of Atelier 5, up until the 1960s or early 1970s, planning was confined to municipal planning, which was mostly the domain of land surveyors, engineers and politicians, with the occasional assistance of an architect. 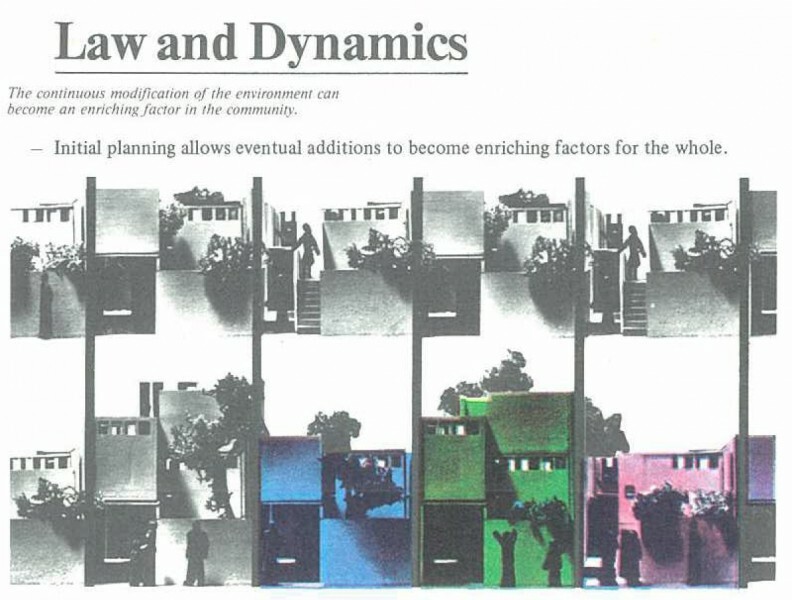 The planning profession was not yet established—there simply were no planners. Schools only offered superficial training. Internationally, it was a more developed profession. Switzerland missed out somewhat in this respect, though that could also be seen as a quality. 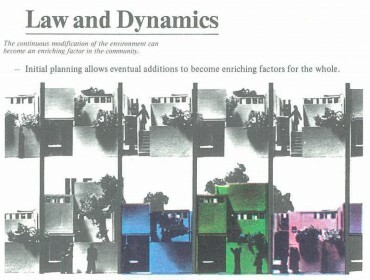 It became clear that our planning-related activity, which was confined to building plans, was insufficient. We had to get involved in the process earlier. Earlier involvement meant municipal, regional and national planning. It was not enough to create good projects; we needed a good basis on which to build good projects. Planning then became a topic that society also took an interest in, and it began to participate. 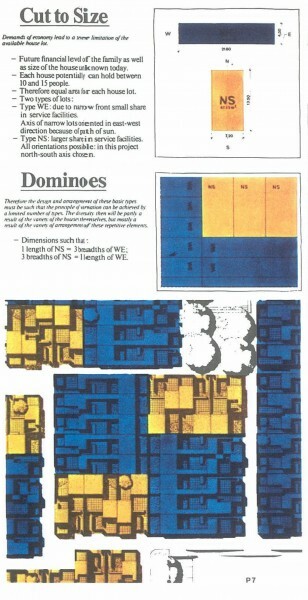 The competition specifications underwent a crucial change when 26 projects were chosen for construction instead of the three winning projects (Atelier 5, Fumihiko Maki, Herbert Ohl). 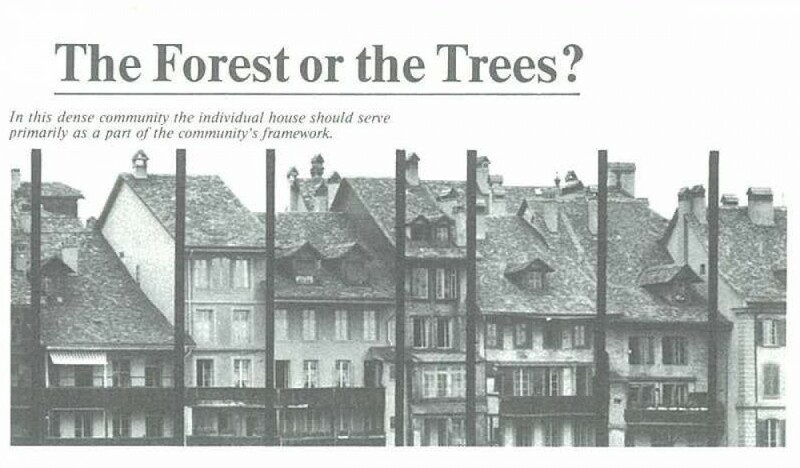 How did this decision affect your project, and what was the effect on the PREVI? We have to start earlier. The project was developed under the government of Belaúnde and was properly organized on the basis of many ideals, a lot of goodwill and big hopes. The UN met all the costs of the competition (organization, development bureau, technical planning, and so on), whereas the buildings were to be funded by the government. Shortly after the announcement of the competition results, there was a military coup in Lima. Belaúnde was deposed and no one knew what was going to happen. Even before the coup, the jury and the authority organizing the project had said what a great pity it was to have so many contributions that were not used. The new government was not interested in destroying the project, it just wanted to expose its predecessors. 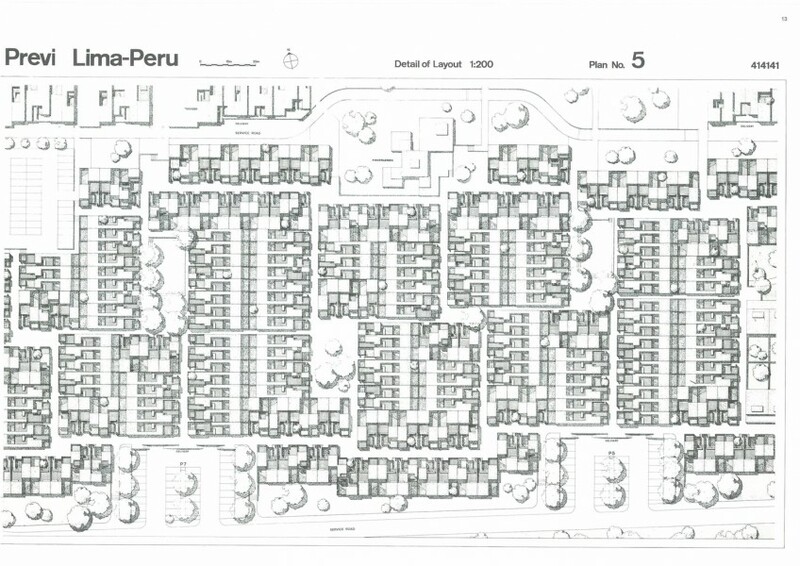 They set up a development bureau, which operated in Lima. We, as awardees, could or should have participated in this bureau, but we were not in the UN. That’s why we got a “no” and were excluded from the process. Just before that, we had been granted an unofficial contract between the project managers, Peter Land, the development bureau and us as a result of complaining that the competition programme had been violated. Accordingly, we were commissioned to build 250 dwellings, which eventually became 25. But we were able to plan these 25 houses, like everyone else. I went back to Peru and began planning with Alfredo Montagne, who took over the execution plan. Alfredo was working with very young people, too. I could only visit the development bureau. There were 30 people there, from all nations—Finns, South Americans, Swedes, Poles, Frenchmen, Germans, Englishmen—but no Swiss. I had no say there, since events had aggravated contact. Montagne drafted the plans and sent them for checking purposes. It was an outstanding project. In two months, the plans were finished, just as we were finished there. We didn’t hear anything, which was frustrating for us. In hindsight, it’s easier to comprehend. It wasn’t out of unwillingness; it was because of the adverse circumstances. The dwellings were built according to the plans, the way we wanted them to be. They were partly built in a first phase but not sold, so they were uninhabited. People moved in a few years later. The settlement passed into the ownership of the buyers. We didn’t know what kind of regulations there were on use or what the circumstances were surrounding purchase. We were astonished by the attention the inhabitants gave to the public space. I guess none of the houses were expanded using our system, because the elements had to be purchased. 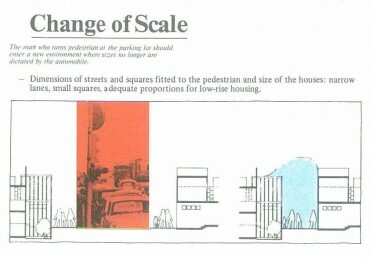 Many of the principles proposed by Atelier 5 were adopted in the master plan. Could you say something about that? Absolutely, there are similarities. 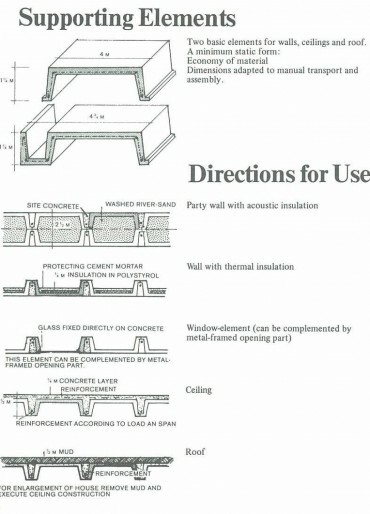 It is also similar to other plans. This plan is relatively consistent, compared to all the site plans I’ve seen of the project. But I’ve barely seen the other projects, just a few pages. There was no official report of the competition—or we didn’t get one. The project should have been carried out on a larger scale. The plan was drafted in the development bureau, but we weren’t involved. The bureau had specialized employees to design the environment, prefabrication, interior design, and so on. This group spent a few months in Lima. They were working, of course, but I’m sure no one had a breakdown! One of the main concerns for the PREVI project was to provide a structure for ongoing expansion and growth of the settlement. To what extent does the evolution of the project meet your expectations? The main concern when working on such a plan is the public phenomenon, free space, and providing regulations of use that work. 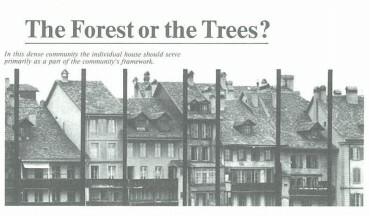 How the particular houses look is secondary. Today, looking at pictures of the PREVI, I do not see simple chaos—it’s a fine chaos. I have nothing against that—in fact, I positively like it. That’s creative drive.We were familiar with the way people treated their homes thanks to a district we visited before the competition. Some settlements, just a few years old, had a certain affiliation with this idea. In that district, it was difficult to find two houses that still looked like the originals. It’s not a phenomenon that only happened with our project. The extensions and interventions of the inhabitants were quite good there, too. This shows that people—at least, this category of people—can identify with it. The same thing happened in Halen. The Halen settlement is under monument protection. This creates problems, because the best possible protection is the inhabitants themselves. Until now, we’ve had almost no constraints. Halen is almost unaltered, though. There are many changes in the interiors, but the character, the message, is still intact, without protection. That’s because the inhabitants wanted it that way. They are stricter on themselves than the department of monument protection is. Why is it worth examining the PREVI, 40 years after its appearance? It’s absolutely vital; if you don’t keep up with what is being built, if you don’t explore and put things to the test, you cannot propose or expand ideas. In this case, it would have been a wonderful idea to collect feedback over the years and extend its guidelines. This in fact was part of the project. The book Tiempo construe marks the start of this examination. It’s a wonderful book. If you ever meet those people, you have to hug them! The book contains really interesting projects by almost exclusively good architects. That’s important after 40 years.